These selections were based on a statewide survey, an evaluation process and a peer review by a blue ribbon panel of attorneys. The methodology for selection can be found at http://www.superlawyers.com/. Wayne J. Positan completed 25 years as organizer and moderator at NJICLE’s Annual Labor and Employment Law Forum at the NJ Bar Center on February 27, 2019. Positan moderated and spoke on programs involving Legal Ethics: “Lessons From The Trenches: The Things Lawyers Do That Get Them In Trouble And How To Avoid Them”; “Labor and Employment Law in the 21st Century: Where We Came From And Where We Are Going: An Historical and Prospective Look At Law Against Discrimination”; and “The Art of Settlement in 2019: How To Settle Cases In Unsettled Times”. Wayne J. Positan was selected by the New Jersey State Bar Association for a two year term on its Medal Of Honor Selection Committee. Kevin F. Murphy served as a speaker during the National Business Institute's "Using Trusts in Estate Planning and Asset Protection" program held on November 13, 2018 in Hasbrouck Heights. Kevin presented on the topics "Using Irrevocable Life Insurance Trusts" and "Charitable Trusts: Setting Aside Assets and Tax Planning". Kevin F. Murphy served as a speaker during the National Business Institute's "Estate Administration From Start to Finish" program held on September 28, 2018 in Hasbrouck Heights. Kevin presented on the topics "Complex Issues in Estate Administration" and "Handling Estate Administration Tax Issues". Steven J. Eisenstein has been named Vice-Chair Legislation of the Business Law Section of the New Jersey State Bar Association. Christina Silva has been elected a Fellow of the Academy of New Jersey Management Attorneys (ANJMA). The Academy, in which there are presently only 27 Fellows, consists of the top labor and employment lawyers in the state who exclusively represent management/defendants in such matters. Dennis J. Drasco participated in an ABA Webinar entitled “Principles for Juries and Jury Trials: From the Bench and the Bar, how to facilitate good decision making in Jury Trials on Monday, May 21, 2018. The moderator was Stephanie McCoy Loquvam, Chair of the ABA Commission on the American Jury. Also participating on the Webinar panel were Hon. Charles Clevert, Retired U. S. District Court Judge, District of Wisconsin, who is now a JAMS mediator and arbitrator, and the Honorable Barbara M. Lynn, Chief District Judge in the Northern District of Texas. Steven Eisenstein spoke on a panel at the New Jersey Bar Association Annual Meeting at the Borgata Hotel in Atlantic City on May 18, 2018. The topic was “The Impact of Tax Reform on Business Transactions”. Mr. Eisenstein spoke about the choice of entity for businesses and financing issues under the new Tax Act. Dennis J. Drasco moderated and presented at an all-day CLE program of the New Jersey Institute for Continuing Legal Education at the NJ Bar Center on May 31. Kevin F. Murphy served as a speaker during the National Business Institute's "Top Estate Planning Techniques" program held on June 12, 2018 in Hasbrouck Heights. Kevin presented on the topics "Annual Exclusion Gifts" and "Qualified Personal Residence Trusts". Scott Reiser has been elected a member of the New Jersey Fellows of the American Bar Foundation. Wayne J. Positan was the organizer and moderator of the NJ Institute for Continuiing Legal Education “Annual Labor and Employment Law Forum” in Woodbridge, NJ on February 28, 2018. Positan led the panel discussions on “Ethical Obligations of Local Counsel”, “The Road To Hell Is Paved With Good Intentions”, a program dealing with the changes to federal tax law and pending legislation in New Jersey that would impact on settlement negotiations in matters involving harassment claims under federal and state law; and “Workplace Harassment Litigation.” Positan also spoke on the status of the law nationally on multijurisdictional practice, motion by admission and pro hac vice admission. Kevin F. Murphy served as a speaker during the National Business Institute's "Trusts--Made Simple" program to be held on December 15, 2017 in Saddle Brook. Kevin presented on the topics "Where To Begin?--An Overview Of Trusts" and "Ethical Considerations". 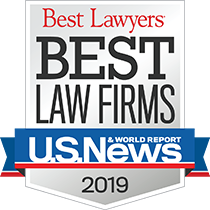 Since it was first published in 1983, Best Lawyers® has become universally regarded as the definitive guide to legal excellence. 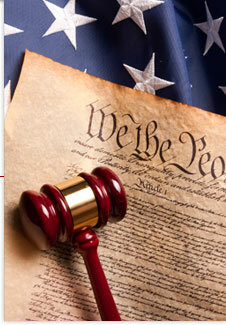 Best Lawyers lists are compiled based on an exhaustive peer review evaluation. Over 83,000 leading attorneys globally are eligible to vote, and they have received more than 13 million votes to date on the legal abilities of other lawyers based on their specific practice areas around the world. Lawyers are not required or allowed to pay a fee to be listed; therefore inclusion in Best Lawyers is considered a singular honor. Kevin F. Murphy served as a speaker during the National Business Institute's "LLCs: Beyond the Basics" program held on November 9, 2017 in Saddle Brook. Kevin presented on the topics "Fully Utilizing Tax Advantages" and "Estate Planning and LLCs". On May 3,2017, Dennis J. Drasco moderated a program at the ABA Section of Litigation Annual Conference in San Francisco, California entitled: “ OVERCOMING IMPLICIT BIAS IN JURORS: STRATEGIES FOR THE COURTROOM. The panel included Paulette Brown, Immediate Past President of the ABA, Paula Hannaford, Executive Director for the National Center For State Courts, Honorable Ramona See, Los Angeles County Superior Court and Honorable Christopher Whitten, Maricopa County Superior Court , Phoenix , Arizona. Dennis J. Drasco recently participated in a CLE Program at the NJSBA ANNUAL MEETING in Atlantic City on May 18 entitled ARBITRATION UNDER ATTACK: WHEN IS BINDING DISPUTE RESOLUTION APPROPRIATE? On the panel with Dennis were, Justice Barry T. Albin, Associate Justice of the NJ Supreme Court, Honorable Harriet Farber Klein, retired Superior Court Judge of the Essex Chancery Division , who Moderated the program, Robert Margules, Esq. and David S. Weiss, Director of the NJ Institute for Dispute Resolution. Christina Silva has been elected a member of the New Jersey Fellows of the American Bar Foundation. Kevin F. Murphy presented on Thursday, February 23, 2017 at the Rothman Institute of Innovation and Entrepreneurship—Family Business Forum. The program was conducted in the Orangerie on the Florham Park campus of Fairleigh Dickinson University. Mr. Murphy spoke on Estate Planning: How a Trump Presidency Will Affect Family Businesses? Christina Silva participated on a panel at the 2017 ICLE Labor and Employment Law Forum at the New Jersey Law Center on March 8, 2017, as a speaker on “Workplace Investigations”. Wayne J. Positan has been re-elected to a third term as the New Jersey State Delegate to the American Bar Association House of Delegates from August, 2017 until August 2020. Dennis J. Drasco participated on a CLE program for NJICLE in Woodbridge on November 21 entitled : “Keys to Jury Selection in a Civil Case”. Mr. Drasco’s topic was Use of Challenges under NJ new Jury Selection Standards. On March 8, 2017, Wayne J. Positan was the organizer/moderator for the 2017 NJ ICLE Annual Labor Law Forum at the NJ Bar Center. The Forum included presentations by NLRB Regional Director David Leach, The Annual Employment Law Update; and programs on Ethical Issues in Mediation; Masterful Mediation; Workplace Investigations; and the trial practice segment was on Jury Issues. Additional speakers included Hon. Peter Bariso, Assignment Judge, Hudson County; Hon. Joel Rosen (ret); Hon. Glenn Berman (ret); Hon Richard Camp (ret); Steve Orlofsky; Paulette Brown, immediate Past President of the ABA; Steve Suflas, and others. Contact NJ ICLE for further information. Steven Eisenstein speake at the 11th Annual Ethics for Transactional Attorneys NJICLE seminar. The seminar was held on November 30 at the Wilshire Grand Hotel in West Orange. Mr. Eisenstein spoke on Ethical Issues in Corporate Practice.